Kendra is a native of Mt. Washington Valley and a graduate of the highly regarded Balsams Culinary Apprenticeship Program. Known for delivering top chefs, this program is an intense three and a half year, 6000 hour program. Chef Veno apprenticed with seven highly awarded restaurants across the country, and earned two Gold Medals and one Silver Medal in competitions while attending the Balsams program. She is well traveled, working in several hotel kitchens throughout the U.S. as an apprentice. After culinary school, Chef Veno worked at The Ritz Carlton in Cleveland, Ohio, for three years, and then was an opening team member at Classic’s Restaurant at the Intercontinental Hotel in Cleveland, Ohio, where the restaurant and staff achieved Four Star Four Diamond status in one year. Kendra recently elevated the Culinary Program at the Mount Washington Valley Career Technical Center program. She added ProStart to the program; paired with Valley Originals by placing 35 students into the food industry; provided meals to Rotary weekly using school facility and students; and catered for many MWV industries, including the top of the Mt Washington. Within three years of teaching, Kendra received both state and national recognition awards for program quality and leadership. In addition to her passion for food, Kendra is extremely passionate about her family and friends. She resides in the White Mountains of New Hampshire with her husband Jason and two children. Jason was born in Rochester, NH and moved to the Mt. Washington Valley, where he attended John Fuller and graduated from Kennett High School. He then pursued a Bachelor’s Degree in Business Management from Plymouth State. Jason has over 20 years of sales experience with an excellent reputation. 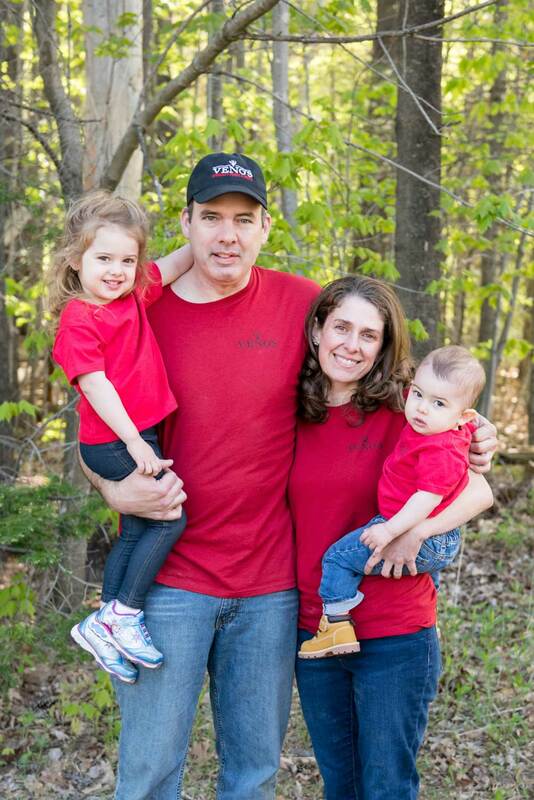 For the last 18 years, he has been in sales and management for Amoskeag Beverages. In doing so, he has built and maintained first-rate relationships with many businesses in the valley. Jason has a great sense of community and enjoys being involved in several charitable events that have taken place at Flatbread Company, and participated in the Ski for Youth Shawn Smith event. Jason served as Mud Bowl Chair as well as the quarterback for The Mud Croc 2017 Champions. This year, Jason and his team donated all of the profits to the Kevin Peare Memorial Skate Park. Jason is also very passionate about hiking and proud to have climbed all of the “4000 footers”. His is a proud father of two and husband to Kendra.